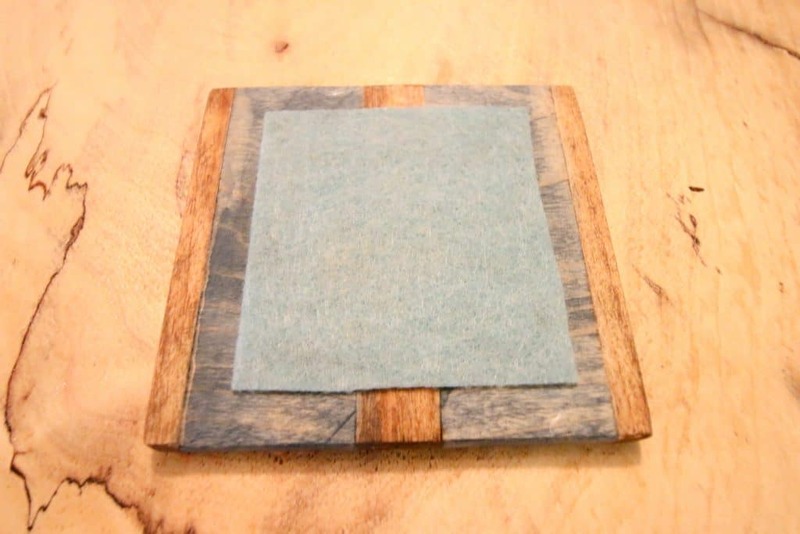 Wooden drink coasters are a great thing to make with scrap wood. 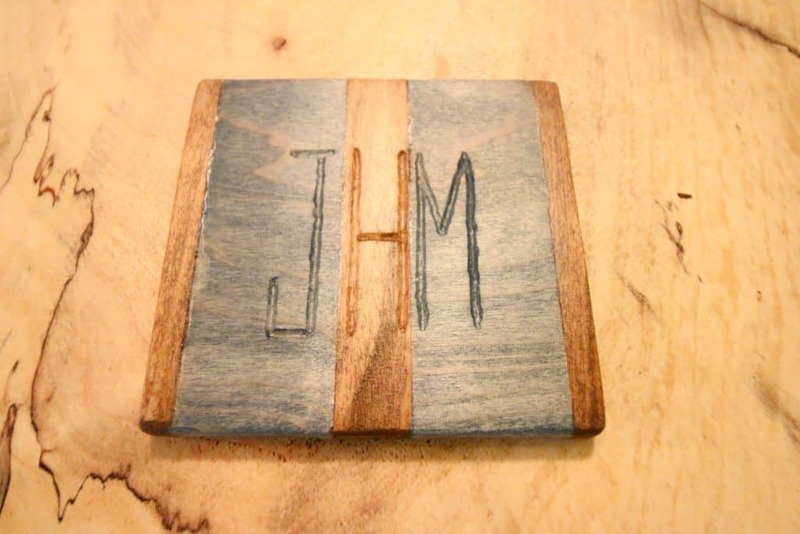 DIY scrap wood coasters can be made in lots of different ways with lots of different results. Whether you glue up a bunch of boards and then trim them down, or you make them individually, wood coasters are always nice. I wanted to make a wood coaster for my brother. He recently sent me a photo of his desk and he was using a receipt as a coaster. Not good. I used scrap poplar from my DIY mid-century crib build to make something he’d use. Obviously, you could just cut some 4″x4″ pieces of wood, sand them down and have a coaster. But I wanted to make this unique and a little special. I cut five pieces of wood to three different widths. The most important thing when making wooden coasters is to make sure all pieces are flush. 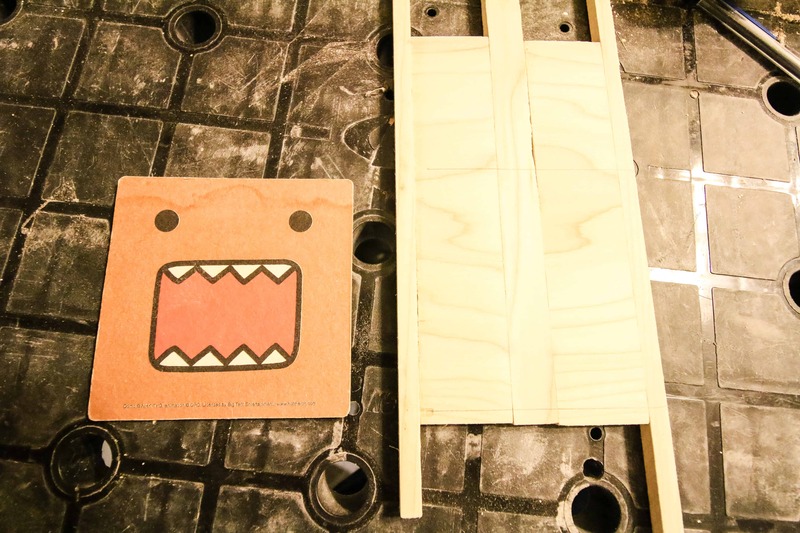 If you have a planer, that make it easy. If not, you can used a table saw for exact measurements and sand it down. 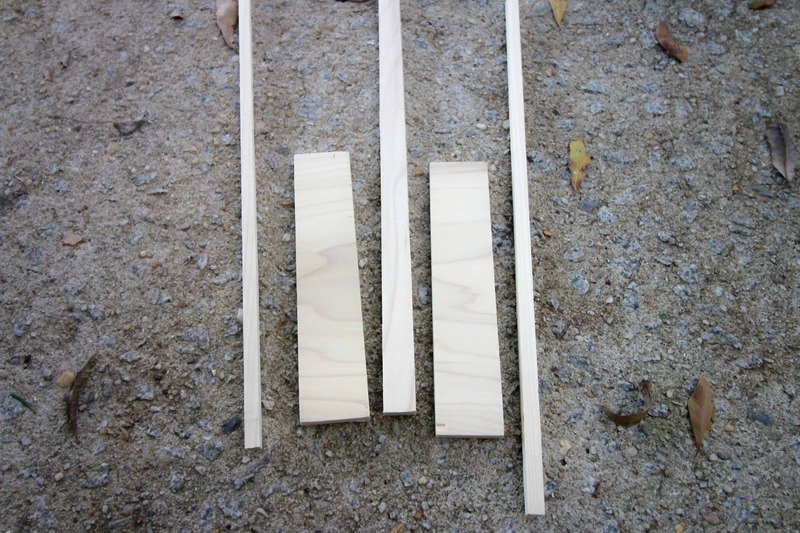 I glued up the five pieces of wood with the grains going in different directions. Then I let it dry, then sanded down. In order to make this coaster personal, I used my Dremel Stylo+ that I won at the Haven Conference to carve my brother’s initials. The Stylo+ feels like a thick pen in my hand, so I have a lot of control over the carving. 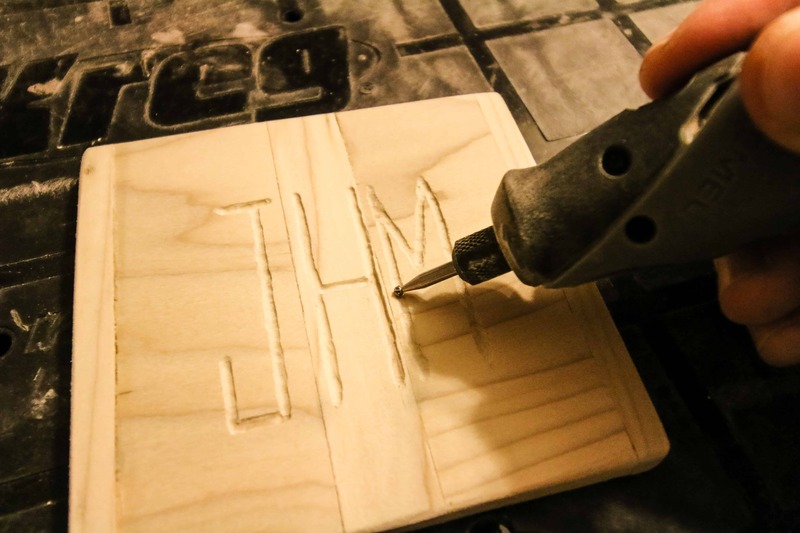 I traced his initials on the wood and then lightly pressed the Stylo+ against the wood to carve them out. Finally, I needed to stain the coaster. Using one stain on the whole thing would have been easier, but less dramatic. I alternated with Rust-Oleum Varathane Early American and Worn Navy and used painters tape to seal the lines on each piece. I added a piece of felt to the underside of the coaster so it doesn’t scratch anything and it was done. I love how it turned out. My brother’s initials really stand out on the scrap wood coaster thanks to the stain. The colors match his style and now he can be a real adult. Next time, I think I’ll glue up more wood and slice them down to make several at a time, but this one is custom and unique. This post contains affiliate links, meaning if you click over and purchase anything, we get a very small percentage of that sale. Thanks for supporting us and the brands that make Charleston Crafted possible!